Guardians of the Galaxy 2 New Character Names Revealed? When Guardians of the Galaxy Vol. 2 started production in Atlanta last month, Marvel announced new cast members such as Elizabeth Debicki and Chris Sullivan, with Tommy Flanagan coming aboard just a few weeks later. They joined the previously-announced Pom Klementieff, who has been confirmed as Mantis, and Kurt Russell, who is rumored to be playing Star-Lord's mysterious father. Aside from Mantis, none of these cast members' characters have been revealed. But today we have a report from Comic Book Movie, which claims that two of these characters have roots in the Marvel Comics. There will be potential SPOILERS below, so read on at your own risk. This report claims that Elizabeth Debicki is playing Ayesha, Tommy Flanagan is playing Tullk and Chris Sullivan is playing the seemingly-original character Tsarface. In the Marvel Comics, Tullk Ul-Zyn appeared in "Annihilation: Ronan Vol 1 1-2," working for Ronan the Accuser. Ronan was the primary villain of 2014's Guardians of the Galaxy, portrayed by Lee Pace, who is believed to be dead and not returning for the sequel. Very little is known how Tullk fits into the story at this point, but it was previously reported that he is playing one of Yondu's (Michael Rooker) Ravagers. Ayesha was a prominent character in the comics, who was originally known as the Paragon and went by several other aliases such as Kismet, J'Ridia Starduster and Her. She was created by the Enclave in their attempt to bring forth a supernatural being through their Citadel of Science. The organization's first attempt was "Him," otherwise known as Adam Warlock, and both later escaped the Enclave and fled to outer space. It's also worth noting that Dr. Stephen Strange played a part in her birth, so it's possible that there may be a connection to the upcoming Doctor Strange movie, arriving in theaters this November. She also became Captain Marvel at one point in the comics. Back in November, writer-director James Gunn revealed that he would not address any more rumors or spoilers for Guardians of the Galaxy Vol. 2, so don't expect any confirmation of this report anytime soon. 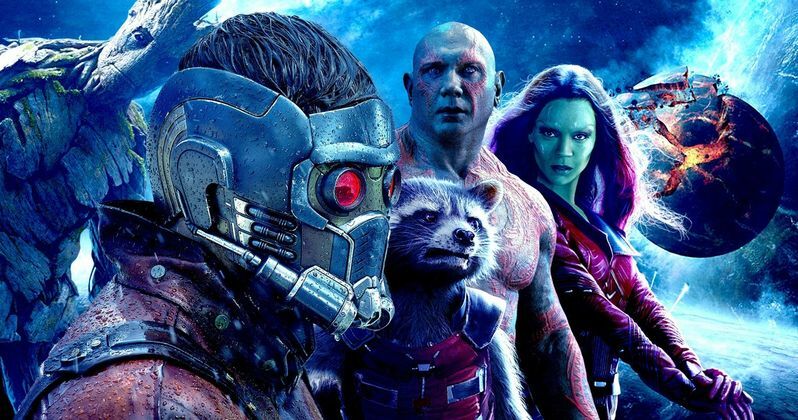 Regardless of who they're playing, these new cast members will be joined by original Guardians of the Galaxy stars Chris Pratt as Peter Quill/Star-Lord, Zoe Saldana as Gamora, Dave Bautista as Drax, Vin Diesel as the voice of Groot, Bradley Cooper as the voice of Rocket, Michael Rooker as Yondu, Karen Gillan as Nebula and Sean Gunn as Kraglin. It isn't known how long principal photography is expected to last in Atlanta. Set to the all-new sonic backdrop of Awesome Mixtape #2, Guardians of the Galaxy Vol. 2 continues the team's adventures as they unravel the mystery of Peter Quill's true parentage. Guardians of the Galaxy Vol. 2 is produced by Marvel Studios' president, Kevin Feige, with Louis D'Esposito, Victoria Alonso, Jonathan Schwartz, Nikolas Korda and Stan Lee serving as executive producers. The original Guardians of the Galaxy was a hit with critics and audiences alike, earning over $770 million at the worldwide box-office, and holds the record as the most successful debut film in the Marvel Cinematic Universe. In addition, the film's soundtrack went platinum and was nominated for a Grammy. What do you think about these new character details for Guardians of the Galaxy Vol. 2? Chime in with your thoughts, and stay tuned for more details.